I know there have been loads of blogs exploring the benefits of independence to the Scottish Labour party. So what’s one more voice. As an American involved in the independence referendum, I’ve been intrigued with the political divisions between the YES and NO camp. In many ways I just don’t understand many of the so-called “progressive” allegiances on the NO side. There is absolutely nothing progressive or socially democratic about the Westminster system. Doesn’t matter which party is in power, Westminster dictates a centre right agenda that puts finance, military and power over people. Which is why I don’t understand the Scottish Labour official stance on independence. Let’s look at all the possible outcomes for Scottish Labour and supporting a NO vote. Fast forward to 2016, Scottish Parliament elections and the public is furious with Scottish Labour. More cuts from a government we didn’t elect. Scottish Labour lose 50% of their seats in May 2016. 2) The NOs win, and Labour go on to win the next GE in 2015. ‘But wait a minute, Labour is going to cut even further and faster than the Tories?’ ‘Why were we not warned,’ Well actually there was a warning. Remember Rachel Reeves telling us, Labour will cut faster and further than the Tories. Fast forward to 2016. The voters in Scotland are furious that Labour in Westminster are cutting social benefits even further than the Tories. Scottish Labour lose 60% of their seats in May 2016. 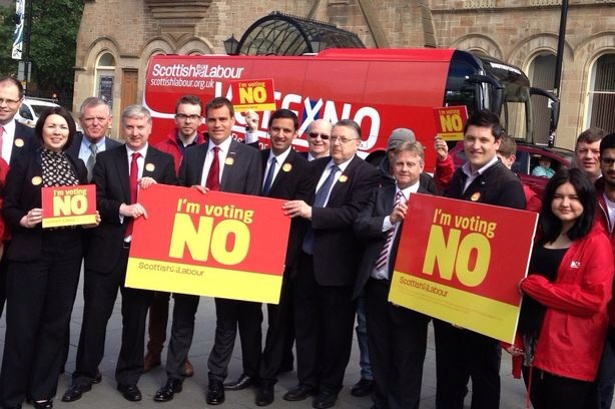 3) YES wins, but the standing Scottish Labour politicians were adamant in their support of a NO vote. Scottish voters are invigorated by the idea of an independent government, but want politicians who have supported that vision. The public look to the prominent figures in the Labour for independence and decide these are the people who believed in a better, fairer Scotland all along. Fast forward to 2016, and all the Scottish Labour MSPs are replaced with members from Labour from independence. Or it could be different Scottish Labour. 1) YES wins and Scottish Labour realised the best scenario for the people of Scotland is to have a government which fully reflected the public here. Scottish Labour once again embrace their social democratic roots of free university and prescription fees. While also supporting complete nuclear disarmament in Scotland. Fast forward to 2016, and the public is excited that the old Scottish Labour Party is back. The win many more seats and perhaps even take over from the SNP. Now that’s a topic for another blog. I’m Melissa. 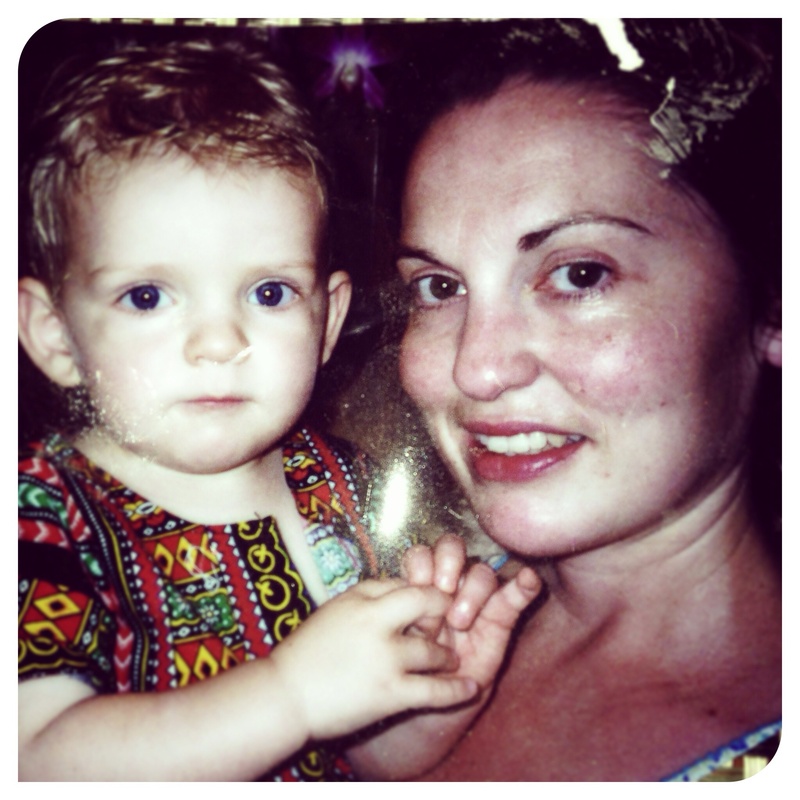 I’m 45 and I have the most extraordinary son. His name is Ethan. He’s autistic. But truth be told I’m not sure I’d have him any other way. He’s amazing. I’m married but my husband abandoned us about 8 months ago. He was having an affair and finally decided, that existence appealed to him more than life with us. Things weren’t perfect with us, but total abandonment is a bit drastic. Well I thought it was. Plus for the first 2 weeks I had no idea where he was. There was no contact at all. At one point, my son thought his Dad was dead. This is what my life was like for awhile. But with the help of my wonderful family and fantastic friends I managed to pull through it. So did my son. We are both much better now. This is my journey to independence. I’m Melissa. I’m 45. I’m an American living in Edinburgh, Scotland. 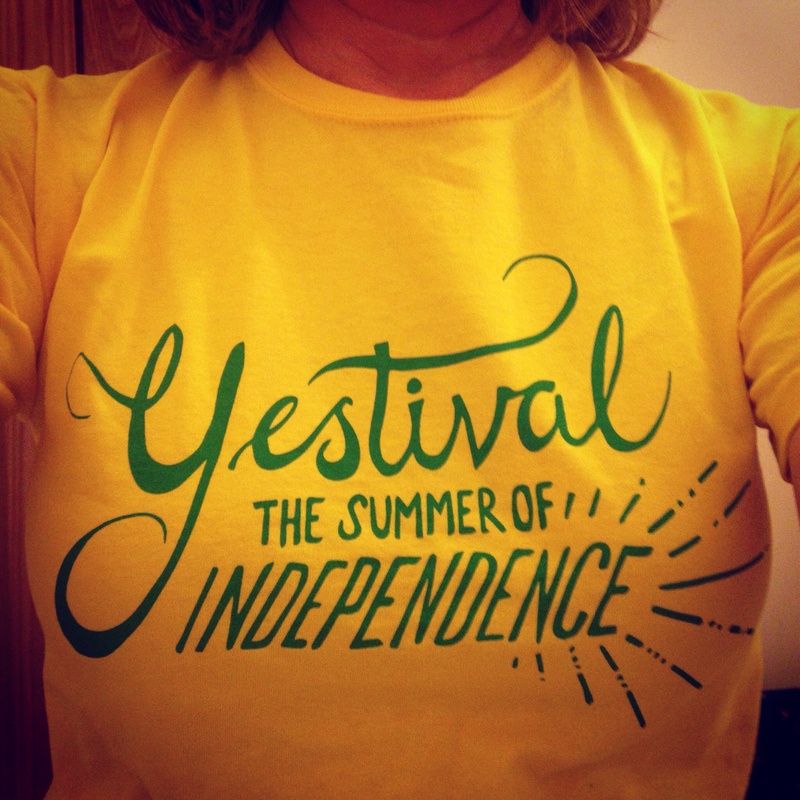 I’m actively campaigning for a Yes vote for Scottish independence in September. I believe strongly that the people of Scotland should fully govern themselves. They should have complete control over all their revenue and tax making decisions. I doubt it will be perfect and perhaps mistakes will be made but in the long run, Scotland a new nation, will be better and stronger. I hope through this blog, I can fully explore my independence journeys for myself and my adopted country. I can’t promise it will always be the most compelling voyage, but if you’re interested I would love for you to join me on the ride.